Lindsay graduated from Columbia School of Nursing with a Bachelor's Degree in Nursing and a Master's degree in Midwifery. She started her midwifery career at Bronx Lebanon Hospital where she spent three years specializing in adolescent pregnancy and running Centering Pregnancy groups in addition to attending to women in labor and giving birth. 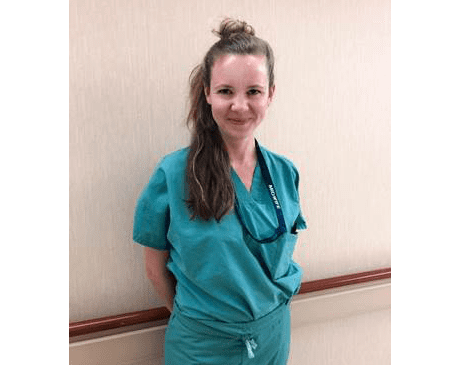 Lindsay then practiced at Woodhull Medical Center for the following four years where she was awarded the 2017 Outstanding Preceptor Award from the American College of Nurse Midwives for her work with midwifery students. Lindsay loves her work in midwifery and is honored to support women as they transition to motherhood.